Home›Dressage Competition›How is Dressage Scored? Since the Olympic Games in 2012, dressage has never been so popular! But often, new people to the sport are left a bit confused as to how the scoring works in dressage. And consequently, how that score is then turned into penalties for eventing. If this is you then you’re in the right place! Here’s our helpful guide on how dressage is scored. How are dressage tests scored? In a nutshell, a dressage test is made up of a series of movements and each movement is awarded a mark out of 10. At the end of the test, all the marks are added together and turned into a percentage where the highest percentage wins. 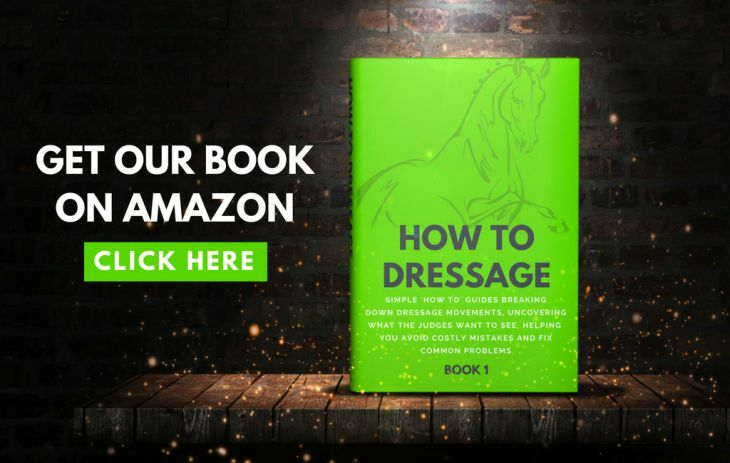 For eventing, the dressage percentage is then converted into penalties and we’ll show you how that is done later in this post. Firstly, it’s important to note that there are two different types of dressage competitions; affiliated and unaffiliated. Affiliated competitions are run under the rules and regulations of a governing body, such as British Dressage. This ensures that all competitions are run to specific industry standards and are judged by someone who is qualified and experienced enough to do so. 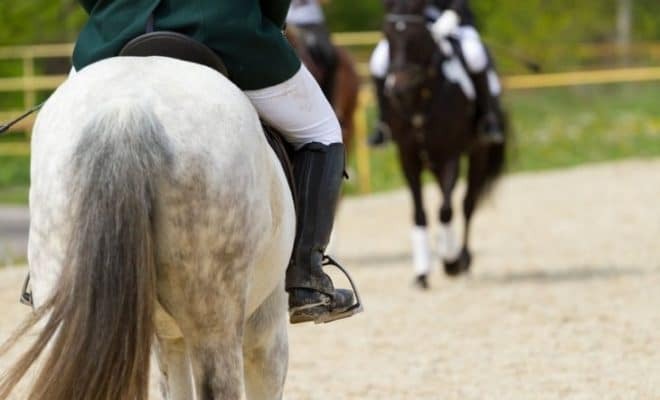 To enter in these competitions both the horse and rider need to be registered with the governing body in question (and usually pay a membership fee). 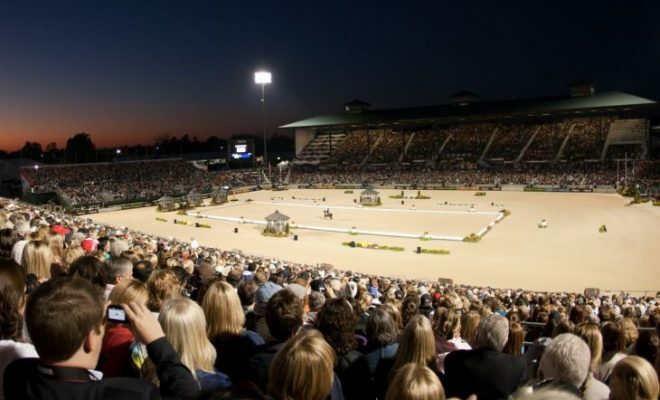 Unaffiliated competitions can be run by any venue and can be judged by anyone. However, the number of unaffiliated events that are using registered judges is increasing, largely due to competitor demand for informed and useful feedback on their performance. The plus side of competing in an unaffiliated event is that it is usually much cheaper with lower entry fees and zero membership fees. At affiliated dressage competitions, only judges who are registered and qualified with the governing body is permitted to officiate. The judge must be qualified to judge the level of the class. All the judges are highly-trained and must attend regular judge training seminars at the level appropriate to their status in order to remain a judge. This helps ensure that an industry standard of scoring is maintained throughout the sport. 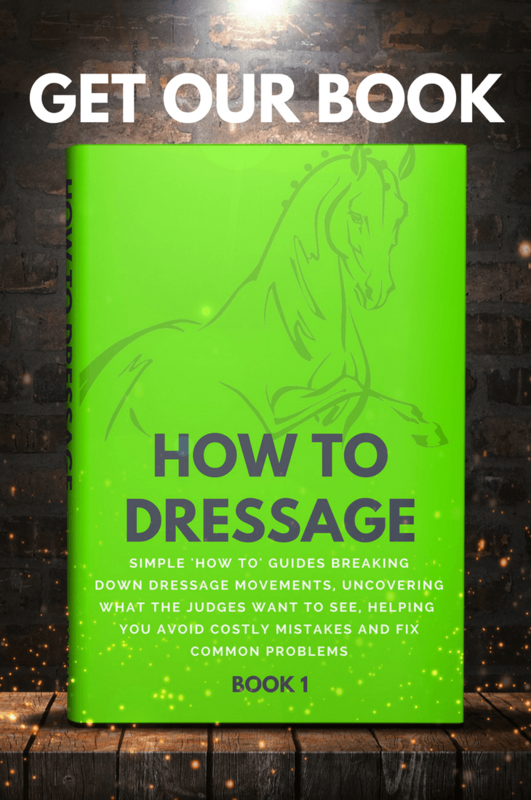 If you want to know more about how to become a dressage judge, then click here. 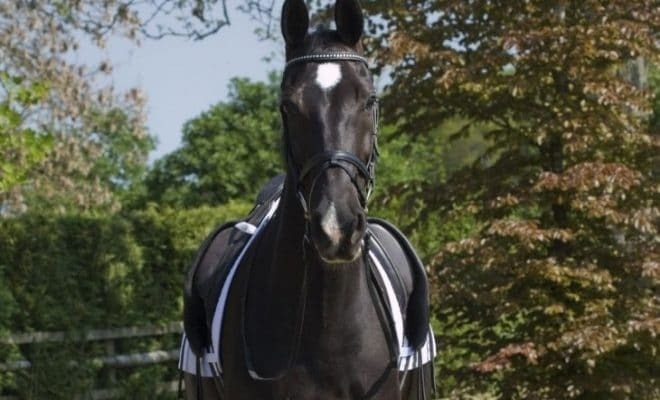 As mentioned earlier, dressage tests comprise of a number of set exercises that are scored by the judge from 1 to 10, with half marks being used where appropriate. You can score a 0 for a movement, but that is only if you fail to show that movement altogether. Each mark correlates to a predetermined standard that all registered judges are trained to observe. For example, a movement that’s considered to be “fairly good” will be rewarded with a mark of 7.0. A movement that falls short of the required standard will be deemed “unsatisfactory” and receive a mark of 4.0. If the movement is “excellent,” the judge should award a mark of 10.0., and so on. Generally, it is the marks from 4.0 to 9.0 that are most commonly used. But if you want more information on what determines a score of 8.0 over a score of 7.0, please feel free to check out our other blog posts on dressage movements. 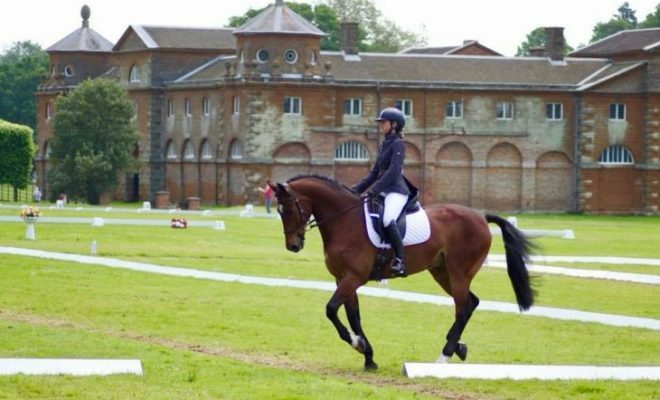 Within these posts, we outline what the judges are looking for in that particular movement and give you hints on tips and how to ride it correctly, giving you a greater chance of a winning mark. The final four marks on the sheet relate to the “collective marks:” paces, impulsion, submission, and rider. These marks are arrived at based on the competitor’s overall performance during the test. Again, these are given a score out of 10 based on the scale of marking above. These scores are often then doubled, for example, if you were awarded a 7.5 for your horse’s paces, this would then total 15 points. So, what happens if you go wrong? If you make a mistake and take the wrong course during the test, the judge will ring the bell to stop you. He/she will explain to you where you’ve gone wrong and will then tell you from where they want you to continue riding the test. If your mind has gone blank, you may ask someone to call the remainder of the test for you, provided the class is not a championship. For the first error of course, you’ll lose 2 marks. If you go wrong twice, you’ll lose another 4 marks, making your total deductions 6 marks. A third error of course will result in elimination, although you may be allowed to continue the test at the judge’s discretion. Minor infringements of dress code, for example, if you forget to wear gloves, will be penalized too, usually by a deduction of 2 marks. However, you should check the current rulebook for the organization that you are competing under as penalties do slightly differ and can often change each season. 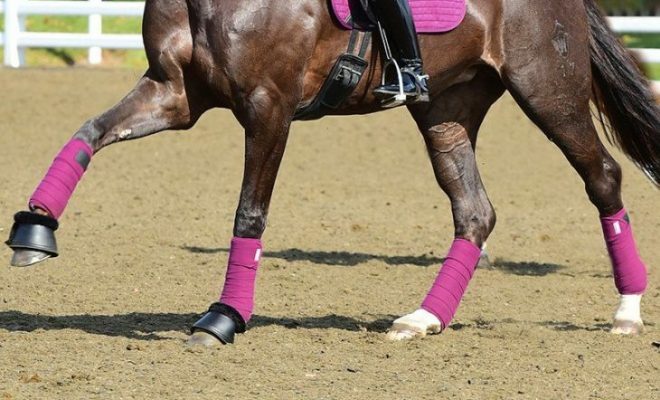 Remember to pay extra attention to the tack and equipment that is permitted by your dressage organization for the level that you are competing at, as incorrect tack can result in immediate elimination. What is considered a good dressage score? A score of 65% or over is usually classed as a decent score. If you scored 65% then this would mean that your average score per movement was 6.5, which, when looking at the scale of marking above, is between “satisfactory” and “fairly good”. The marks are totaled, and the final figure converted into a percentage. The horse and rider combination that scores the highest percentage wins the class or section. Should two or more combinations score the exact same percentage, the horse and rider with the highest collective scores will take the leading position. The scores, together with the judge’s comments, are recorded on a dressage score sheet that riders are able to take home at the conclusion of the class. 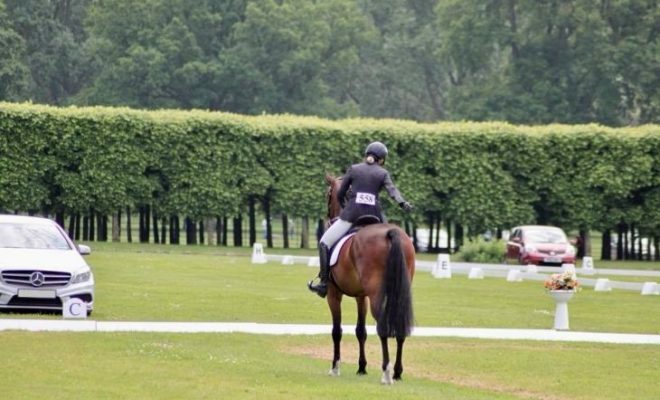 In eventing, the percentage score is then turned into a penalty score simply by subtracting the percentage from 100. For example, if you scored 74% on your dressage test, this would equate to an eventing penalty of 26. We hope this article has helped answer all of your questions about how dressage is scored. If you are new to this equestrian sport we recommend that you first enter you and your horse into a local unaffiliated event before you splash out on registering for an affiliated competition. This will give you an idea of where you and your horse are in your training and allow you to dip your toes in the water to see if you enjoy it.